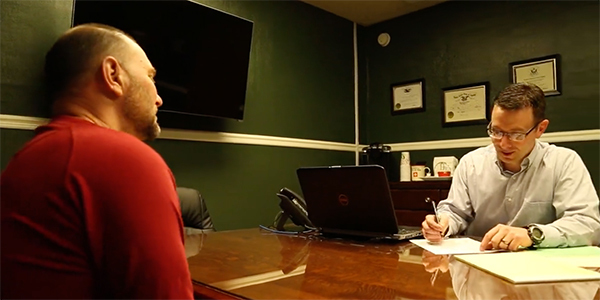 Attorney Travis Miller fully understands that not every client or potential client will be able to travel to meet him at his Bridgeport, WV office. Since we cater to clients from all over the great state of West Virginia, we can at times meet you at your home or in the hospital if need be. Attorney Travis Miller will go above and beyond to accommodate your special circumstances and will make arrangements with you that fit your needs. At times, a phone consultation can be very helpful and informative. Attorney Travis Miller is happy to set up a phone consultation with you. So don’t let the inability to travel or visit us in Bridgeport, WV stop you from contacting us. Travis Miller Attorney at Law maintains regular business hours from 8:30 a.m. to 4:30 p.m., Monday through Friday. Our law office is located at 147 East Main Street, Bridgeport, WV. We represent injured and disabled individuals throughout the entire state of West Virginia. For more information on our law firm, to ask a question or to set up your free, no obligation consultation, be sure to give us a call or fill out our online Contact form. If you need to leave us a message during normal business hours, we will return your call that same day. We look forward to helping you get the compensation you deserve.